Clean water is something we all value, but many take for granted. With a water well that clean water is under your control. That means when you pour your child a glass of water, you know it’s free of added chemicals, bacteria, or contaminants. Water wells are a safe option but need to be regularly tested and cleaned. Most homeowners with water wells opt to test and clean their wells annually. However, the best way to ensure that you always have clean, fresh water is to understand and be proactive about the process of having your water well cleaned. 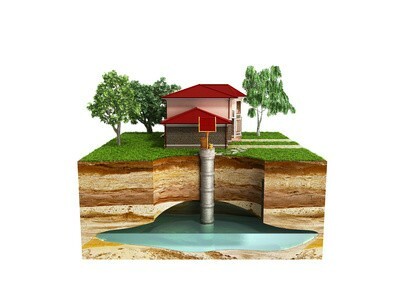 There are certain wells that rely on shallow water or groundwater as their main source of water. These wells are often hand dug and aren’t buried as deep in the ground. Wells that rely on shallow water are considered surface water wells and require continuous purification to provide safe drinking water. In a traditional water well, the source of water comes deep below the ground from an aquifer. While continuous purification isn’t necessary, it is imperative to test your water quality annually. If bacteria are present in your water well, that means it’s time to schedule with your water well professionals to have your water well cleaned. What Goes Into Cleaning Your Water Well? Chlorinating your water well is the standard method used for cleaning wells. Much like your pool needs to be “shocked”, your water well needs to be cleaned with bleach to ensure all bacteria are killed. The process of cleaning your water well isn’t simply to dump bleach and call it clean. This time-consuming process requires the bleach to be pumped through the entire plumbing system to make sure all bacteria is killed. To ensure this, your water well cleaning professionals will open a hose bib until they can smell bleach, and then will open each tap to ensure they can smell bleach there as well. Once the bleach has penetrated the entire system, your water well cleaners will spray down the internal water well casing, including the walls and cap to ensure that no bacteria remain. The final step is just as important as the first. This last step involves flushing your water well of all bleach and bacteria to ensure the safe, clean drinking water that you rely on. In order to remove any remaining bleach, your well needs to be flushed out. In laymen terms, this means hooking up a hose and pulling the chlorinated water from the well. This process can take several hours or even days. Water is then tested for chlorine and bacteria. If the water comes back clean, then you can once again enjoy clean, fresh water. This process may sound like a hassle, but with water well professionals the process can be made simple. 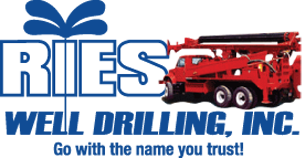 With years of experience, we can clean your water well with ease and get you back to enjoying the benefits of knowing where your drinking water comes from. Remember, clean and fresh drinking water is under your control, so be proactive and give us a call today at (586) 784-9516 to have your water well cleaned!